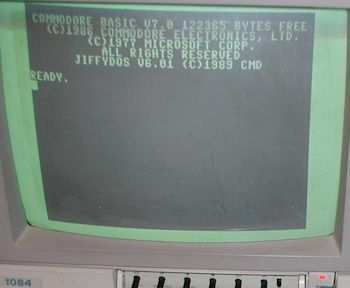 with the Commodore 1084 display one can switch between all signal modes generated by the Commodore 128/128D computer. 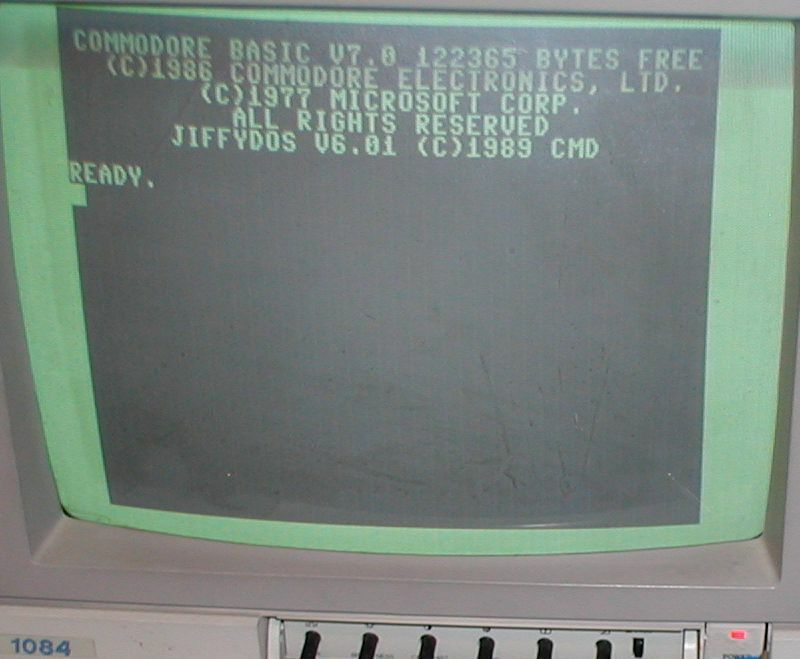 Note that there is both a CVBS (white/yellow/red) and RGB (grey) cable attached from the C128 to the 1084 display. Click image for larger view. The CVBS / LCA button on the rear of the 1084 is in the LCA (out) position. This is required to display color while in 40-column CVBS signal mode (C64 or C128). If in the display will be grey. The position of this switch is ignored if you're using the RGB cable (80 column mode). Click image for larger view. Use the CVBS / RGB button to toggle between modes and to change which cable the display signal is routed. 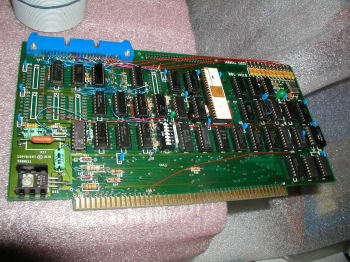 CVBS for 40-column and RGB for 80-column mode. Click image for larger view. View of the rear of the 1084 display information panel. Not all 1084's are the same, the S model in particular may not be equipped to switch between modes, check your model's specs before you pull your hair out! Click image for larger view. 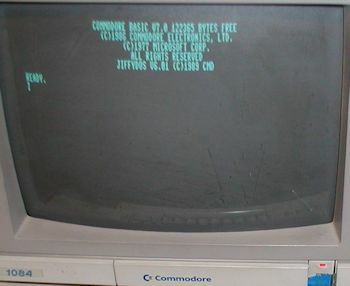 C128 in 80-column RGB display signal mode. Click image for larger view. 40-column C-128 mode diplay signal routed through the CVBS cable. Click image for larger view.